If you are looking for a burger in Nashville, the only problem you will have is choosing which one is the tastiest, juiciest and the best dressed. Burgers are all over the place in Nashville, from upscale hotels such as Hermitage or Hutton Hotel, to roadside stops, converted pharmacies, 50-year old classics, and beautiful modern spaces. Butchertown Hall is a carnivores’ delight. This huge industrial space in Nashville’s Germantown neighborhood will greet you with a buzz of up to 130 people who came to taste the heavenly in-house smoked and wood fire grilled ribs, sausage, chicken, brisket, shrimp and of course burgers. The smells will pull you in like magic all the way from the street. The menu is Texas/German-influenced, so expect some wonderful tacos, empanadas and guacamole with your meat. Their burgers come with two patties, and are nicely dressed with American cheese, onion, pickles, aioli and a large choice of sides. To go with your meats, Butchertown Hall has a formidable lineup of beers on tap as well as beers made exclusively for them by local breweries. Located in the elegant and historic Hermitage Hotel, Capitol Grill is a much loved Nashville restaurant where meals are a happy mix of Southern tradition and the philosophy of sustainability and healthy, locally sourced seasonal food. 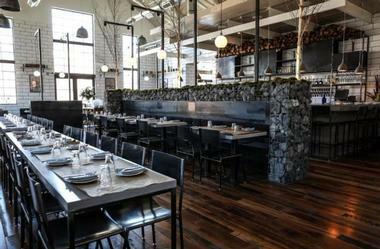 The restaurant features food from the local Double H Farms, where they grow fresh produce and a herd of Red Poll cattle. The extensive menu changes with the seasons, ensuring that you are getting only the freshest and highest quality meal. If you are looking for a great burger, come for lunch where you can delight in a juicy sandwich dressed with white cheddar, Vidalia onion, tomatoes and arugula, on a home-made bun. It is served with crispy fries, potato salad or coleslaw. Chauhan Ale & Masala House is a delightfully quirky Indian restaurant located in a former garage, with exposed brick walls which are covered with projections of scenes from Bollywood movies. It is celebrity chef Maneet Chauhan’s playground, the place where she lives out her vision of the fusion of American Southern and Indian street cuisine. Dishes such as Lamb Keema Papadi Nachos and Tandoori Chicken Poutine are probably making some of her ancestors turn in their graves, but they work. The flavors are as quirky as the restaurant itself, spices you would never think of putting together do not fight, but blend to create memorable flavors. This is all before you even get to the drinks. Wild combinations of alcohols, spices, vegetables and fruits produce cocktails and even brews that will make you smile, and you will have to try them. More than one. 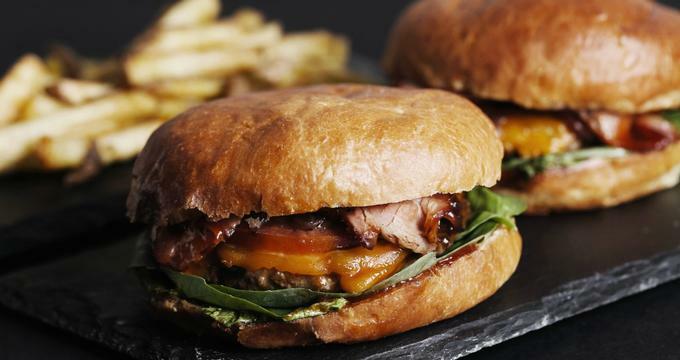 If you are on a mission to try their burger, you are in for a thrill; their lamb mint burger is made of kebab spiced lamb and mushrooms, and served with masala fries or spiced farro. What goes better than burgers and beer? 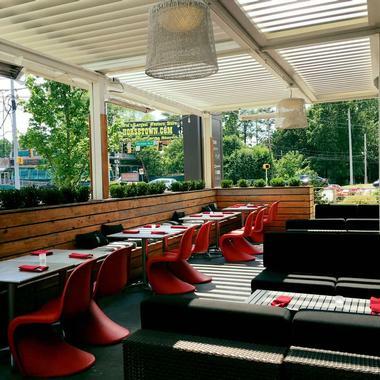 Only burgers and beer on a lovely outdoor patio, with fire pits and comfortable chairs. M.L. Rose is one of those neighborhood places where everyone feels comfortable, from executives on their lunch break to local kids and families out for Sunday dinner. 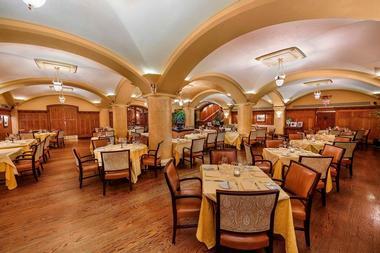 The colorful, spacious dining room is surrounded by a variety of patios. There are TVs everywhere and the lineup of burgers and other unpretentious pub grub is impressive. Burgers are made with all-natural 100% Certified Angus Beef, fresh, not frozen, without hormones or antibiotics. They come with a whole pile of imaginative toppings such as smoked tomato jam, pimento cheese, uncured bacon and stout-braised onions. There are 34 beers on tap, eight of them rotating and featuring limited releases, local brews and 70 more in bottles and cans. The Whiskey Kitchen is a popular Gulch neighborhood watering hole that promises to serve only what is locally grown, owned and brewed. Lively, cheerfully decorated and spacious, this gastropub offers greater than expected fresh pub grub with a Southern flair and an excellent selection of whiskey from all over the world. Don’t worry, they also have a great selection of craft beers, bottled or on tap. Their burgers are made-to-order and feature an inventive selection of toppings such as pico de gallo, mushrooms, jalapenos and Cherrywood smoked bacon. There are also tuna and crab burgers, all served on a fresh brioche bun. Located in midtown’s upscale Hutton Hotel, 1808 Grille is an elegant, classy restaurant where the menu is seasonal, with local produce, sustainable seafood and prime meat. The cuisine is a fine blend of international flavors and traditional Southern food. Beautiful décor with warm colors and reclaimed wood creates a relaxing and soothing vibe. Excellent food is accompanied by an outstanding wine selection. If you are in the mood for a burger, you can have it for lunch, or at the bar, topped with sharp cheddar cheese, shaved lettuce, tomato, and Thousand Island dressing, served with garlic parsley fries. After the huge success of his other operations, Pat Martin opened the biggest and best bar-b-que joint so far in downtown Nashville. Close to Music City Center and Lower Broadway, Martin’s Bar-B-Que joint is centrally located and well-loved by his many fans. The dining room is fun and airy, and the beer garden is huge, with communal picnic tables and benches surrounded by greenery and a few bars. The star of the show is a whole roasted hog (actually six of them at once) served hot and falling off the bone, plus roasted chicken, sausage and brisket. These mouthwatering meats are served with fresh, homemade sides, cold craft beers, and wine. If you’re in the mood for a burger try the Brisket Burger, made with custom ground beef and topped with American cheese, grilled onions and smoked brisket, or the Dixie Burger, made with custom ground beef, topped with grilled onions, jalapenos, pimento cheese, and drenched in Sweet Dixie Sauce. Every neighborhood should have a Dino’s. Known as Nashville’s oldest dive bar, this eatery is comfortable, slightly shabby and familiar. They serve juicy, greasy burgers grilled just the way you like it, delicious French fries, and ice cold beer to wash it all down. Dino’s is the kind of place where everyone knows everyone since people have been coming for years, and they like it exactly the way it is. So, how can you reinvent a place like that? By adding a few things to the menu, such as sandwiches, pies and a few other regular pub grub items, cleaning it up a bit and leaving the rest alone. This means all the neighbors will still be able to afford to come, bring the kids for dinner or friends for a late night drink and a bit of live music. The beef for their burgers comes from Porter Road Butcher, and is piled up with sharp cheddar, tomato, lettuce, onion and pickle. A serious contender for the best burger in Nashville, Burger Republic now has several hip, modern restaurants in various neighborhoods around town that all manage to always be packed. It’s no wonder since not only do they use only certified Black Angus beef, but their juicy patties come with some very inventive toppings such as Guinness-braised bacon, Vermont aged white cheddar, lump crab, and hollandaise sauce. Serve that up between a pretzel or brioche bun and you get a world-class burger. There are 20 beers on tap to go with your burger, and their adult spiked milkshakes are legendary. Add to that a flat-screen television on almost every wall and a fun patio, and you will know why you had to wait for a half hour to get in. Burger Up follows the philosophy of its parent company Community Hospitality: All ingredients are locally sourced and seasonal, long communal tables encourage socializing with strangers, and plenty of recycled wood shows their concern for the environment. The décor is no nonsense, windows are floor-to-ceiling and the small patio outside is adorable. There are over a dozen kinds of burgers, made with meats such as bison, turkey, salmon and lamb, and there are also vegetarian options. Everything, even the ketchup, are made in-house and from scratch. Burgers come with inventive, fun toppings such as Benton's bacon, Jack Daniel's maple ketchup, and Tennessee Sweetwater white cheddar. Fries are to die for, try both the truffle and the sweet potato. There is a full bar with an excellent selection of beer, wine and cocktails. Brown’s Diner has been a Nashville icon since 1927, located in a once mule-drawn trolley car, now put on a foundation with a dining room added in the back. Not much else has changed. Their cheeseburgers are still the best in Nashville, the nostalgic furniture and rickety chairs give the place a vibe that makes Brown’s the favorite hangout of local residents, famous recording artists, and students from the university. There is often live music in the evening and there is seldom a seat available in the house. Fire grilled, the burgers and cheese burgers are large and juicy and you need two hands to hold them. The beer is cold, but do not look for anything fancy, they serve mainly Budweiser and other domestic beers, with a handful of imported bottles. It just adds to the vibe. 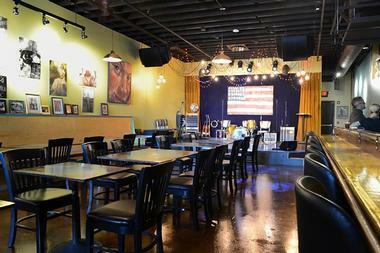 The Family Wash is a popular East Nashville neighborhood pub located in a former laundromat. The pub features funky décor with a relaxed pub atmosphere, live music, a large selection of beers, wines and inventive cocktails, and a bar menu elevated to new heights. Owner/chef John Stephenson likes to keep things interesting and offers daily specials such as fried chicken skins with a blackberry-ancho chile, and sweet potato French toast. Their burgers are the good old classic kind with double beef patties, jalapeno mayo, pickles, and American cheese. The pub offers breakfast every day, not something you find in other pubs, complete with a coffee bar. Normally, you would call a place with great burgers ‘a burger joint.’ However, Flip is more of a ‘burger boutique’ due to its classy décor and inventive menu. 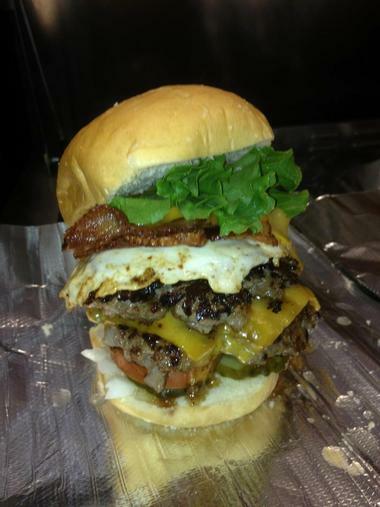 The burgers are a world apart from what you would normally find in ordinary burger places. Their signature Black Angus beef burgers are locally sourced and hand-made, topped with homemade sauces and condiments, forcing you to rethink the definition of a burger. How about a steak tartare burger made of raw beef tenderloin served with capers, cornichons, a fried egg, pickled shallots, and smoked mayo? Or a burger made of blackened shrimp, served with tempura fried lemon, shredded iceberg lettuce, tomato, and Cajun mayo? Making burgers into a gourmet dish is to be expected from ‘Top Chef’ Richard Blais. In addition to delicious burgers, Flip has a nice selection of craft beers, wines and interesting cocktails. If you have room for dessert, be sure to try their original shakes cooled with liquid nitrogen. Don’t expect designer furniture or any kind of decorating frills, expect lines out the door and the smell of grilled grass-fed beef that will lure you into this Nashville institution. As the name suggests, Gabby’s Burger and Fries serves just that, with the occasional guest ordering a grilled cheese or hot dog. The restaurant has an old diner feel to it, with mostly counter seating, but the food more than makes up for the simple décor. They use locally sourced grass-fed beef, which is lean and healthy. Single or double patties are piled up with several kinds of cheese, bacon, lettuce, tomatoes, served between one of several kinds of soft buns – you will need two hands for this pile of deliciousness. All burgers come with freshly cut sweet potato fries, regular fries, a cup of chili or pasta salad. Open for lunch only. Bright and unpretentious, Bongo Java is the oldest and most famous coffeehouse in Nashville. It is located just across the street from Belmont University, in the lively Belmont/Hillsboro Village neighborhood. Bongo Java is a popular gathering place for the local residents, students and artists. Its great Fair Trade coffee and all day breakfast is not the only reason the café is so famous; in 1993 an employee almost bit into a cinnamon bun that looked like Mother Theresa, and Immaculate Confection was born, that is until Mother Theresa’s people put a stop to that. You can still get it, under the name NunBun. You can be the judge and decide if it looks like anything other than a great bun. To go with your fresh roasted coffee, you can get a nice choice of light, healthy meals, slightly quirky but interesting. Their burger called “Burger from the Black Bean Lagoon” is made of black beans, and it comes with Jack cheese, avocado, chipotle aioli, an egg over easy, lettuce and tomato, all piled up on a fresh sesame bun. Upstairs from the coffee house is a popular small music venue and theatre called Bongo After Hours. 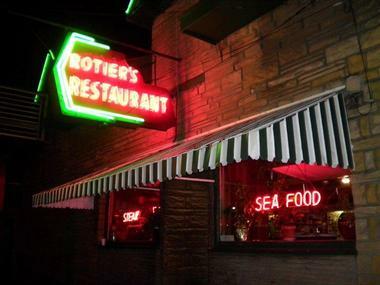 Located in hip Elliston Place, in a former carriage house for the Elliston family mansion, Rotier's has been Nashville's favorite greasy spoon since 1945. Old fashion and nostalgic, with wood-paneled walls and neon signs, it remains the number one place for area burger fans to get their fix of fabulous cheeseburgers and fries, usually followed by a thick shake. It is close to the Vanderbilt campus, so you will see a mix of students, busy executives, and tourists all fighting for a table at lunch time. Rotier's cuisine is all Southern, with chicken gizzards and poor-boy steaks, but what most people come for is their signature freshly ground beef burger, smothered with melted cheese on toasted French bread. They have a nice choice of bottled beer, and Miller Light on tap. 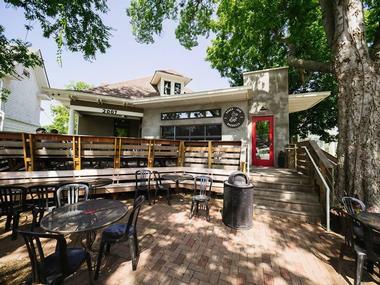 A brain child of the people behind the popular Über-Tüber food truck, the Riverside Grill Shack is literally a shack, a tiny country-style roadside place with a screened-in porch where you can sit and eat your delicious burgers, fries, and wings. 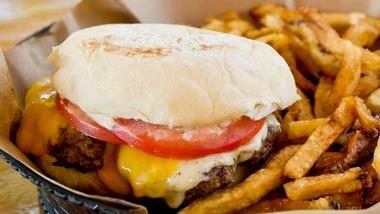 Their burgers are made from grass-fed local beef from Porter Road Butcher. 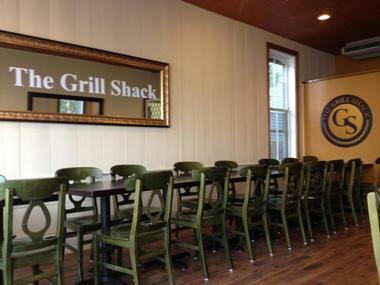 Try one of their many signature burgers such as their version of a Philly - a half-pound of grilled and shredded steak, dressed with provolone cheese and grilled Vidalia onions, served on an Italian roll. Famous Über-Tüber Fries are sold by the basket and come with their signature dipping sauces - Horseradish Ranch, Hot Ketchup or Old Bay. Located in Greenwood, the Pharmacy is Nashville's trendiest burger joint, mostly because of their fabulous burgers and even more fabulous biergarten. The beer garden is large and shady with communal picnic tables and benches where you can have a cold beer from their enormous selection while waiting for your burger to arrive. The fun atmosphere, great beer and juicy patties made of locally-sourced beef make the wait bearable. Check out their old-fashioned soda fountain serving milkshakes, and phosphate and ice cream sodas. If you want to try something different, try the falafel burger, but most people go for the classic – a burger patty with bacon and a fried egg. They make all their sausages and condiments from scratch, and the options are impressive.